Treecreeper (Certhis familiaris). Taken at Cholsey Marsh, Oxon., on March 25th 2019. 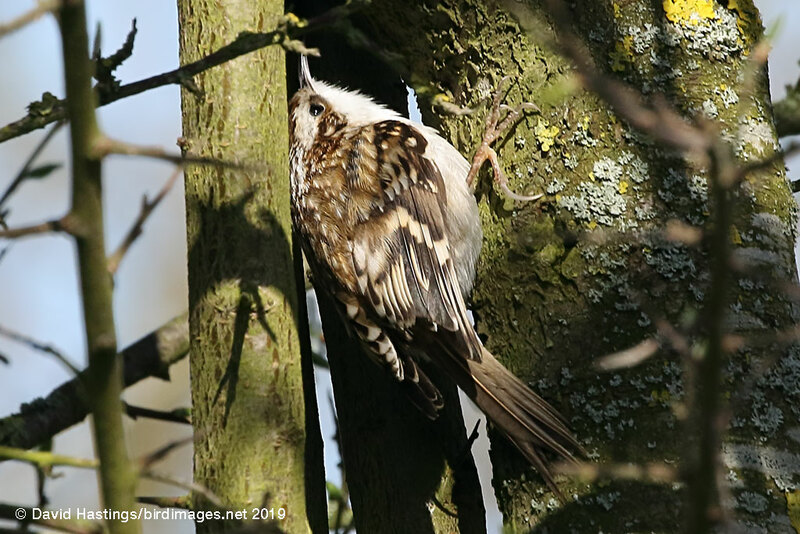 Taken at Cholsey Marsh, Oxon., on March 25th 2019. The Treecreeper is small, very active bird that lives in trees. It has a long, slender, downcurved bill. It is speckly-brown above and mainly white below. It is found throughout the British Isles and central and eastern Europe. It is largely absent from the Mediterranean region. Breeding habitat is woodland, often with a coniferous element. Unlike Nuthatches, Treecreepers only go up tree trunks looking for food. It has green status. There are about 200000 territories in the UK.